"Lord of the Grand Bazaar, of appearance holy, though of a crank." Vannarpannai in Jaffna and in particular the Grand Bazaar area up to Sivalinga Puliyadi may be called a sacred area. It is within this area that temples and institutions that foster the Tamil language and religion flourished. The Kathiresan Temple, Vaitheeswaran Temple, Vaitheeswara Vidyalayam, Srila Sri Arumuga Navalar School, Sivathondan Nilayam, Hindu College and Sivaprakasa Printing Press were all situated in this area. This area was sanctified by the sacred feet of yogis, siddhas and liberated souls for hundreds of years. No where in Eelam can such a spiritual environment be found. The chief among these maha purushas was Kadai Swami. Nothing is known about his place of birth, parents, ancestors or the names by which he was known. Saints and sages do not generally reveal their past connected to their material existence. As far as they are concerned the past is dead to them. However there is reason to belief from hearsay of his close devotees that he was from Karnataka in India prior to his coming to Jaffna. During initiation he was given the name of Swami Muktiyananda. He had knowledge of English, Sanskrit, Kannadam, and Tamil languages. According to his very close associates he had once held a very prestigious post, but had given it up suddenly due to strong dispassion and became a renunciate. However it is not difficult to find out who initiated this great soul hailing from Mysore. The 17th and 18th Centuries may be said to be a dark period in the history of South India. Economically and politically it was at very low ebb, in a very poor condition. Therefore in order to dispel this darkness, a luminous sage, a jnana siddhar was sent here by the grace of God. He was the 32nd pontiff of the Sankaracharya Peetham Śri Narasimha Bharati, a sage who had reached great spiritual heights. He could help and guide and inspire the development of, jnanis, yogis, siddhas and jivan muktas, such was his great mystic powers. During his 62 years period as head of Sankaracharya Peetham, he spent forty years on pilgrimages and out of this period, twelve years were totally dedicated to the spiritual upliftment of Tamil Nadu. Along with his chief disciple Śrī Satchithananda Siva Apinava Narasimha, a jñāna siddhar like himself, he went from village to village bringing about a spiritual revival. Thereafter great saints and sages appeared from time to time in Tamil Nadu to continue this great awakening. Among these, mention must be made of Sadasiva Brahmendra, Suyaprakasa Brahmendra, Sundara Swamigal, Appaiyasivam Tiruvarutprakasa Vallalar and a householder sage Raju Sastri. As in the mother country India, the daughter country Ceylon too blossomed and had a period of spiritual regeneration, guru bhakti and dedicated service There are many evidences to confirm that the people who were spread out in the four corners of the Jaffna peninsula were guided by the principle that the purpose of life was to feed the devotees of God. A disciple who wrote a short biography of Kadai Swami has mentioned that Kadai Swami and his disciples Paramaguru and, Kulandai Vadivel were looked up on with such reverence by their devotees that they adored them respectively as Lords Siva, Pillayar and Murugan. It cannot be stated definitely as to when Swami Muktiyanandar and his brother renunciates Chinmayanandar and Niranjananandar came to Ceylon. However there is evidence to infer that it could have been after the year 1862. It was at this time that Śrī Narasimha Bharati came to Ramanathapura district in South India. 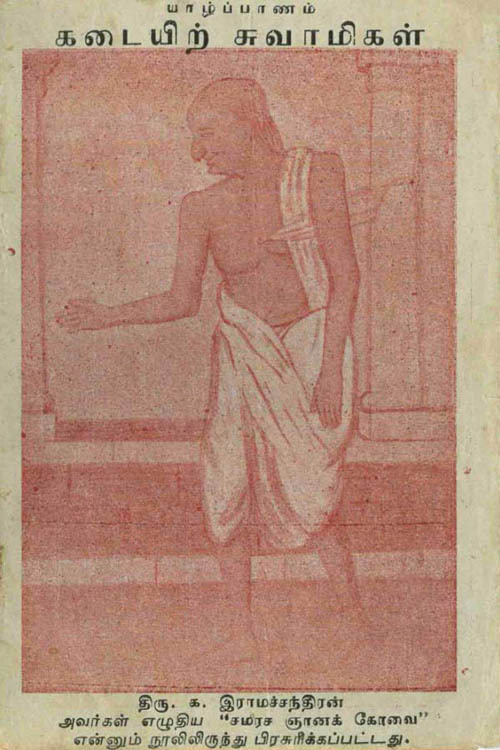 It was Vairamuttu Chettiyar of Vannarpannai who was Kadai Swami's first disciple in Ceylon. He had obtained darshan and blessings of Narasimha Bharati during his pilgrimage to South India; and it was he Vairamuttu Chettiyar who was partly responsible for the arrival of that great sage Narasimha Bharati to Ceylon. About 1860, Vairamuttu Chettiyar is said to have come in contact with saints who took up their residences in villages including Kidaaripparupp Patham close to Ramanathapuram and engaged themselves in spiritual services. He had been to place where many sadhus held satsang. The above-mentioned great souls belonged to our Guru Paramparai in their mother country. However in their daughter country the Guru Paramparai initiated by them broke into three groups. But it was to Kadai Swami that the first place was given. This fact is clearly brought out in a song sung on his guru Niranjanandar by Kulandaivel Adigal. No photograph of Kadai Swami was ever taken. The picture of him that now exist are in fact drawings by an artist who was his devotee. These drawings depict him as having broad shoulders, long hands and a radiant smile constantly shining on his face. His long nose lightly hooked at the tip lent beauty to his face. There was a spring in his brisk stately walk and the humour in his talk that gave charm to his personality, say those who had seen him. It is important to mention here that in trying to explain the greatness of Kadai Swami, sage Yoga Swami had said "Even if Kadai Swami were to hold hands and dance with naked maidens, he would not lose his composure. Indeed he is many times greater than even Buddha, Christ and the rest of them." Kadai Swami lived mostly at Jaffna Grand Bazaar. This market place was public area. The shops on the northern and western streets of this area belonged mainly to the chettiyars or trading community. This community was by nature devoted to God and inclined towards to the service of devotees. It was they who first came to know of Swami's greatness. The very first house that Swami went to request a meal was from a long time devotee Vairamuttu Chettiyar. He was the one who established Kantarmadam Anna Chattiram as a token of his guru bhakti. The mother of Arulampala Swamigal, Chinnachipillai looked upon Kadai Swami as a child and fed him rice with her hands as a mother would do. Chinnachipillai's youngest son Arulampalam sat beside Swami and partook of his food when he was just three years old. Arulampala Swamigal and some devotees told to me this about fifty years ago. However lovingly Kadai Swami was treated and served a meal, it was never his practice to visit the same house again for a meal. To him all devotees were the same regardless of differences in race or creed, high or low, rich or poor. He treated one and all with equal affection and remedied their physical, mental ills and their poverty too. Knowing this the devotees began to flock around him in larger numbers. There were many humble requests even from the poor to visit their homes. At such times they offered him their usual non-vegetarian meals including liquor as well. He was above likes and dislikes, he accepted what was offered. When this became known there was anger and resentment amongst orthodox Hindu Saivites. The manner in which he won over these people is surprising. The example of Ambigaipakan, a teacher from Innuvil, is worthy of mention. In this connection we may briefly mention a rare incident told to us by Yoga Swami himself. Chellappa Swami, the guru of Siva Yogaswami could not bear to hear from the devotees that Kadai Swami whom he honoured takes liquor. It was something altogether unbelievable. Wishing to test him, he went to grand bazaar in search of Kadai Swami with a bottle of liquor carefully concealed under his shawl. As he went and sat beside him. "Oh ho, so you too have begun to treat me with liquor! All right, take the bottle that you have concealed under your shawl and open it. Let me share this with you and all these devotees here!" he said. Chellappa Swami, trembling, took out the bottle, kept it in front of him and when he opened it the entire contents of the bottle vaporised and the bottle was empty. The dismayed disciple asked forgiveness and returned back to Nallur Teradi. There are countless such miraculous incidents. Many are those who had swallowed his saliva and been cured of illnesses. Some gained siddhis. A person from Suddumalai became an expert astrologer. Another became a famous medical practitioner. There is an interesting incident about a fisherman disciple who became caught in a storm in deep sea in the midst and heavy rain. He had no other refuge than to call out for his gurunathan before sinking into the water. Kadai Swami, the ocean of mercy, went to the fisherman's hut, took an oar and, singing 'Ellello', started to dig the sand on the surface and his devotee's life was saved. The manner in which he saved his devotee softened the hearts of those who heard about it. 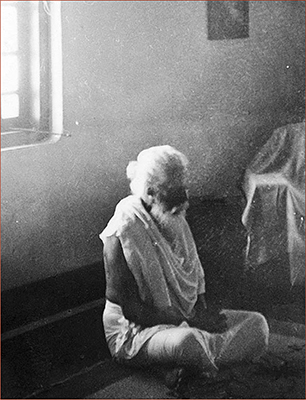 Thus for the full thirty years, he helped the people of Jaffna, ministering to their needs and leading them along the spiritual path. 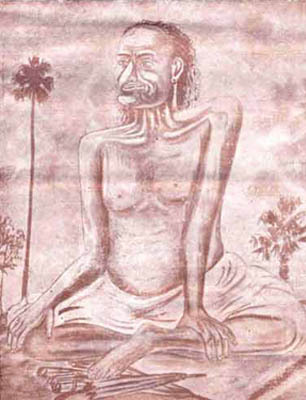 This great soul who started the Jñāna Guru Paramparai in Jaffna attained Mahā Samādhi on the auspicious full moon day of in the month of Purataci, in the year Karu, coinciding with Puradam Natchathiram. Swami's samādhi lies at Vannarponnai, Neeraviyadi, in Jaffna. Translation by Dr. [Mrs] Vimala Krishnapillai from a radio presentation of the Sri Lanka Broadcasting Corporation given by K. Ramachandran published in Tamil in Samarasa Jana Kovai (year not known). This radio talk in Tamil was first translated and published as "Kadai Swami of Jaffna" in The Island (Colombo) of 6th October, 1992.